A couple of years before I had my daughter, I entertained the thought of becoming an event planner. 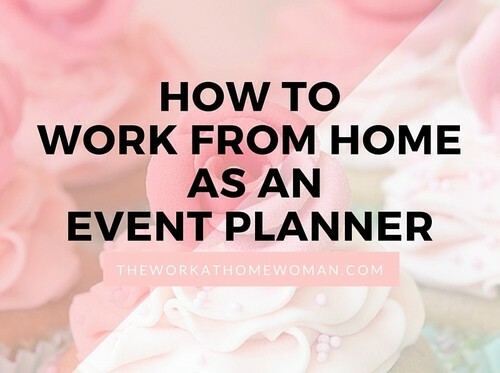 I was ready to do something other than nursing, and event planning seemed like the perfect career since I loved planning parties. However when I looked further into the profession, there were a few of things that kept me from pursuing it as a career. One, entry level event planners earned less than I was making as a nurse. Two, there were a lot of nights and weekends involved. And three, most companies, wanted individuals with a bachelor's degree AND additional event planning certifications. Now, before you decide event planning isn't for you, I was looking at companies that hired employees. 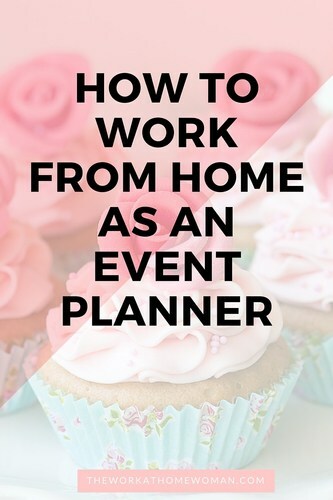 If you want to start your own home-based event planning business, you'll have more flexibility regarding work hours, pay, and what background training and education you have. What training do you need for Event Planning? Traditionally, to become an event planner, you would obtain a degree from a college or university in meeting and event planning, hospitality, or tourism. Or after earning a bachelor's degree, you would take part in a certification program and become a Certified Special Events Professional (CSEP), or a Certified Meeting Professional (CMP). But if you want to launch your own event planning business, a specialized degree or certification is not needed. Now just because you don't need a college degree or certification to run a business, doesn't mean that you shouldn't educate yourself and learn as much as you can about the industry. According to the Bureau of Labor Statistics, event planners earn an average of $46,840 per year; but again this is an employee, not a business owner. According to industry expert, Patty Sachs, social planners make anywhere from $12 to $75 per hour, plus vendor commissions. Corporate planners anywhere from $16 to $150 per hour, plus vendor commissions. Sachs says in the events industry, planners typically charge a fee for their services, plus a percentage of some or all vendor fees. Ready to start your event planning business? Like any other home-based business, you will need to educate yourself on best business practices and tools, file all of the appropriate paperwork, and get your legal and financial ducks in a row. Once you step up the preliminary business framework, you can start working on the fun parts of your business. There are many different types of events you can work. While some event planners are generalists and work on a wide-variety of functions, it is easier and more lucrative to choose a specialty. Figuring out what niche you want to focus on can be a challenge, but if you mind-map your passions, interests, experience, and knowledge you can narrow it down relatively easy. Do you prefer working with social clients (weddings, birthday parties, baby showers, engagement parties, retirement parties, etc. ), corporate clients (trade shows, conventions, company picnics, holiday parties, meetings, etc.) or non-profit clients (charity events and fundraisers)? Would you like to do big events (over 50 people) or small events? What would you like your area of specialty to be? Example: I enjoy being around senior citizens, so I want to focus on retirement parties, elderly milestone birthday parties, and anniversary parties. To be competitive as an event planner, you need to have a website. Having an online presence helps you attract more clients; it gives you a place to showcase your work, list your services, and testimonials, and it makes you look more professional. Don’t worry, setting up a website is easy and affordable. This post has step-by-step instructions that will have you up and running in no time — and it's very affordable! There are tons of ways to promote your event planning business; the thing you need to remember is consistency is key. Choose two to three methods that you think you’ll enjoy doing and spend time each day working on those methods. If you find yourself dreading a certain method, or that it's not effective, drop it and try something else. Now that you’ve got your website in place and you’re actively marketing your business, it’s time to connect with potential clients. Some experts believe you should follow up with five to ten new prospects a day until you have a constant flow of customers in your pipeline. 4. Invest in your event planning business. As your cash flow builds, you’ll want to reinvest some of it into professional development. Luckily, they are events, tradeshows, webinars, teleconferences, online courses, books, membership sites, mastermind groups, and coaching sessions – there is something to fit every budget and every niche. By investing in yourself and your business, you gain the knowledge, information, and skills to make your event planning business a success. Starting your own event planning business may seem like a far off distant dream – but if you take the first step, you can make it a reality. Good luck on your journey!